Even from a young age, you can start teaching your kids about financial literacy. This includes differentiating between wants and needs, letting them make mistakes when it comes to their spending decisions, and learning how to save. Making and learning from a mistake makes it less likely it will happen again in the future. 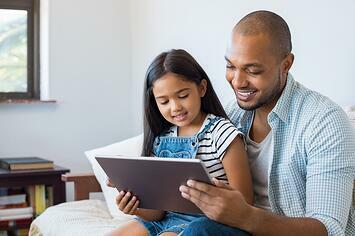 While it’s not necessary to sit down with your child and go through your budget line by line, you should keep them involved in some money discussions. If kids see the process of budgeting and saving for something you want, such as a vacation, they are more likely to model this behavior when they start making money. Once your child has a source of income, whether it's allowance or a job, have them be responsible for some of their expenses. Come up with a plan that dictates which items for which each side is responsible. For example, a parent could purchase a video game system as a gift, but the child is responsible for saving up and buying their own games or the parent will cover the cost of the car and car insurance but their teen is responsible for the gas and oil changes. Having more responsibility for their own expenses will teach children and teens how to budget. Many teenagers go out into the world without knowing how to carry out basic financial tasks, such as doing their taxes, how credit works, or how to write a check. Stress the importance of having an emergency savings account and saving for retirement. Kids learn best by example, so try your best to live your best financial life as much as possible.